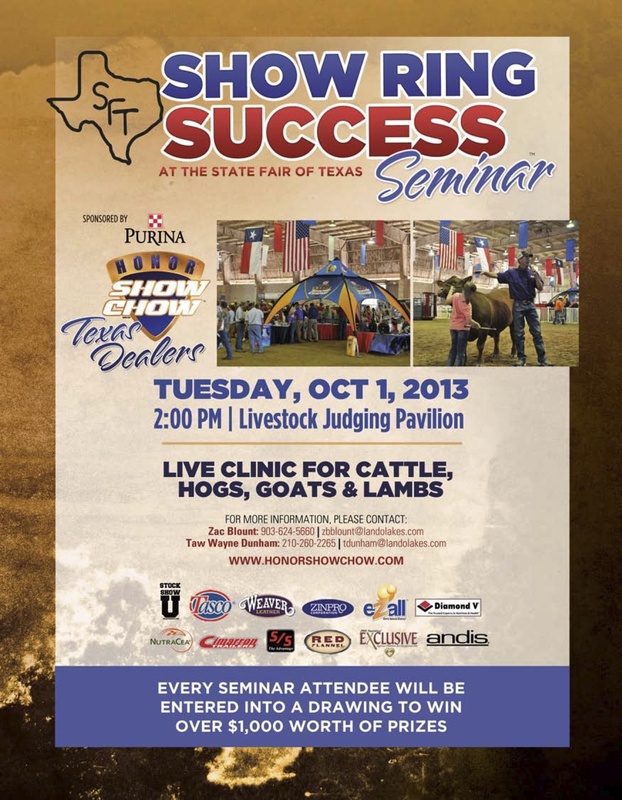 Save the date for the Show Ring Success Seminar at the State Fair of Texas on Tuesday, October 1, 2013 at 2:00 p.m. 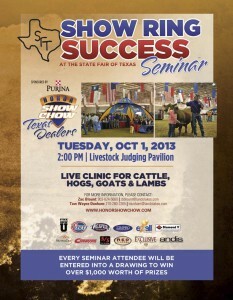 This live clinic will review show clinic techniques, fitting, showmanship & nutrition for show cattle, hogs, goats & lambs. All attendees will be entered into a drawing to win prizes at the event! This entry was posted on Thursday, September 12th, 2013 at 3:18 pm	and is filed under Events, News & Updates. You can follow any responses to this entry through the RSS 2.0 feed. Both comments and pings are currently closed. Subscribe to our monthly newsletter and get tips and information on new products. Your email will not be shared with anyone, nor will you get excessive emails from our store!